Anyway, let's see how this goes...and I apologize in advance for any half-assery. 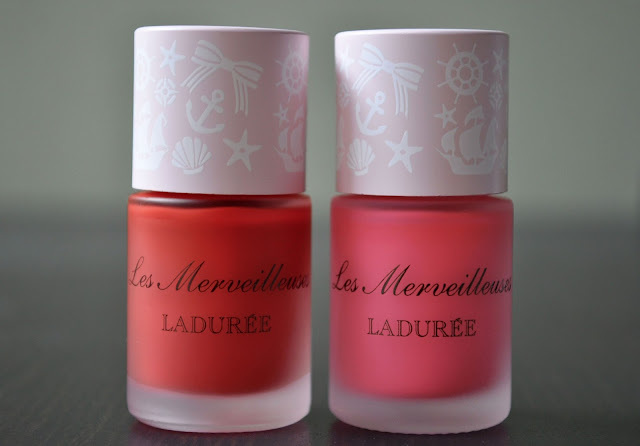 For the last two weeks, I've exclusively been wearing Laduree's Liquid Cheek Color in 103 and 105 from the brand's summer 2016 collection. There was a third Liquid Cheek Color shade (104), and although it showed up on my skin, I felt it was too pale for my summer coloring and had to kindly decline it's advances. The nautical themed packaging was adorable. 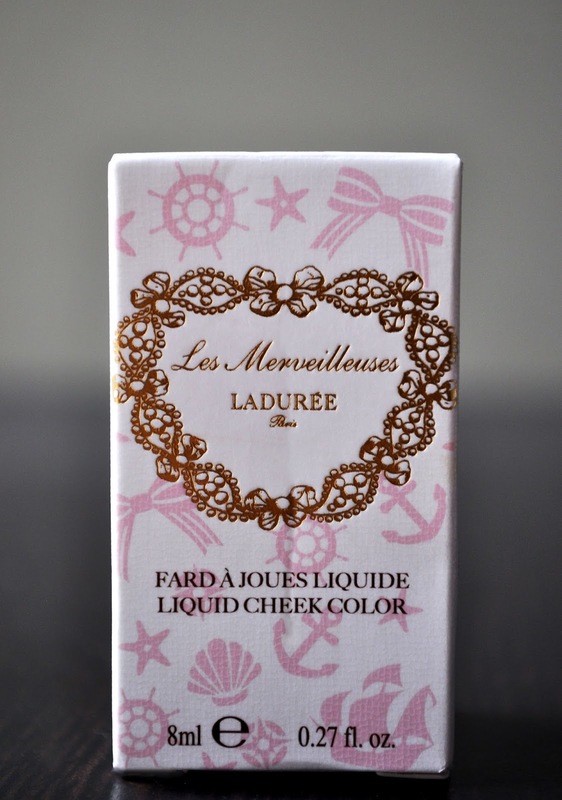 If memory serves me correct, this is Laduree's second time releasing the Liquid Cheek Colors. I prefer the frosted glass packing this time around, than the solid colored bottles of the first incarnation; it a no-brainier seeing the color, and how much product is left. From left to right: 105, 103. The formula has a lightweight, creamy, semi-dense texture that makes it easy to apply and blend out. Both, 103 and 105, are pigmented, giving the cheeks a beautiful pop of color that flawlessly becomes one with the skin. You can use your fingers or a brush to apply the product. I, personally, prefer using my fingers, and using a tapping/bouncy motion to blend out. 103: a bright, watermelon pink. 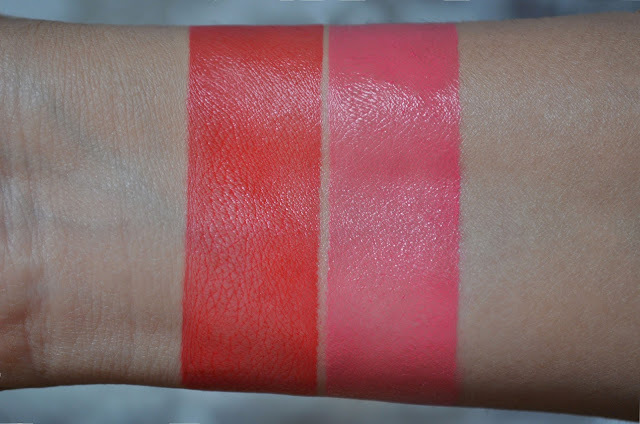 I love both of these colors individually as well as layered over one another, creating a third shade; either way, they give a youthful, flirty flush, with a subtle sheen that stays perfect for 6 to 7 hours. Well, I like your watermelon pink. I would like to have this shade as I think it will suit me more than the other one. If you can if it, I highly recommend picking it up. Looks pretty on the skin, and gives a beautiful flush.